The blogging equivalent of a stutter? 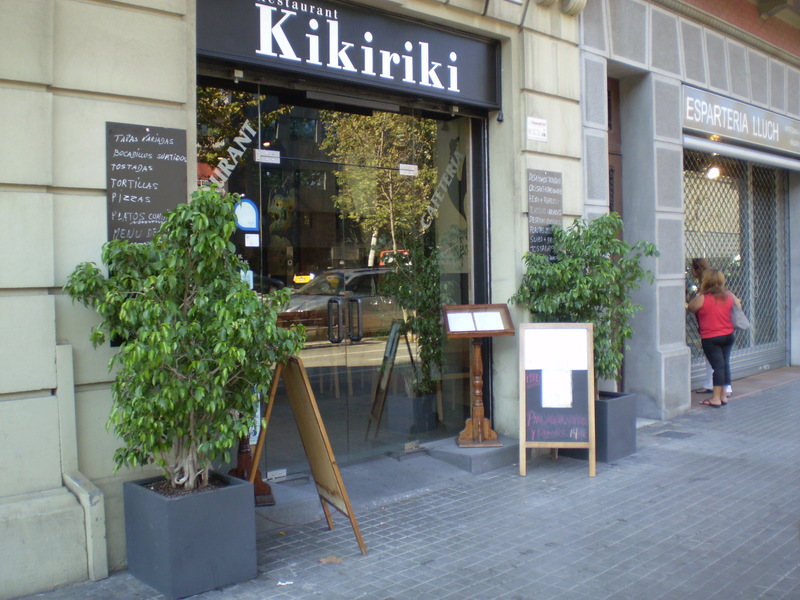 My last post was about Kikiriki, a recently reopened place on Gran Via at Pl. Espanya. Purely in the interests of accuracy the wife and I took a lunch in there yesterday, as a result I got a bit more information and rather than edit the previous pile of shite post I thought an additional entry was warranted. As it turns out I actually know one of the chefs having watched a few Barca games in his company. He filled in some of the blanks which are worth passing on. The food is all “home made” they don’t buy in ready prepared stuff, hence reason the menu doesn’t have the usual suspects on it. The restaurant has been there for 40 years and does cater for the local community rather than the tourist trade, this is the reason it’s shut on a Saturday. The staff need their day off and their Sunday family lunch trade is more important to them. 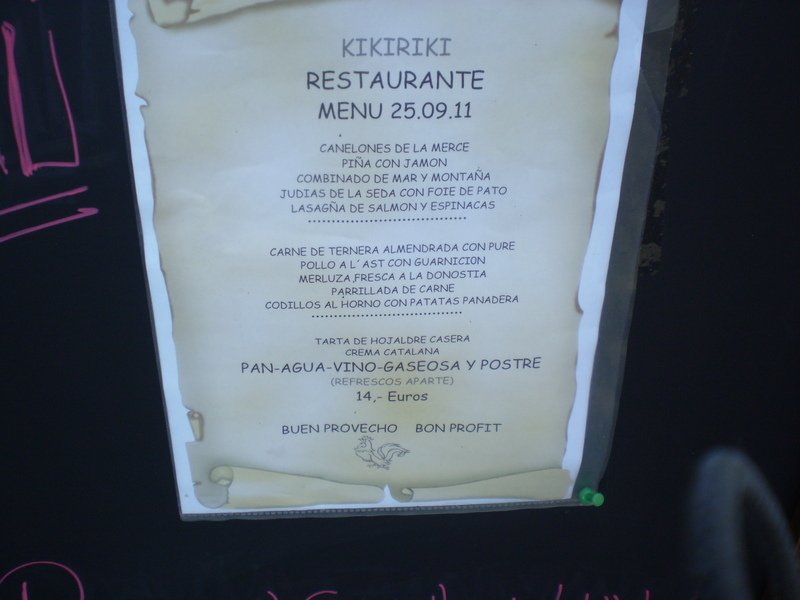 I took a pic of the Sunday menu and even at 14€ it is still tremendous value. (Click to enlarge). You can see that it would probably be an idea to have a dictionary handy for translation purposes. 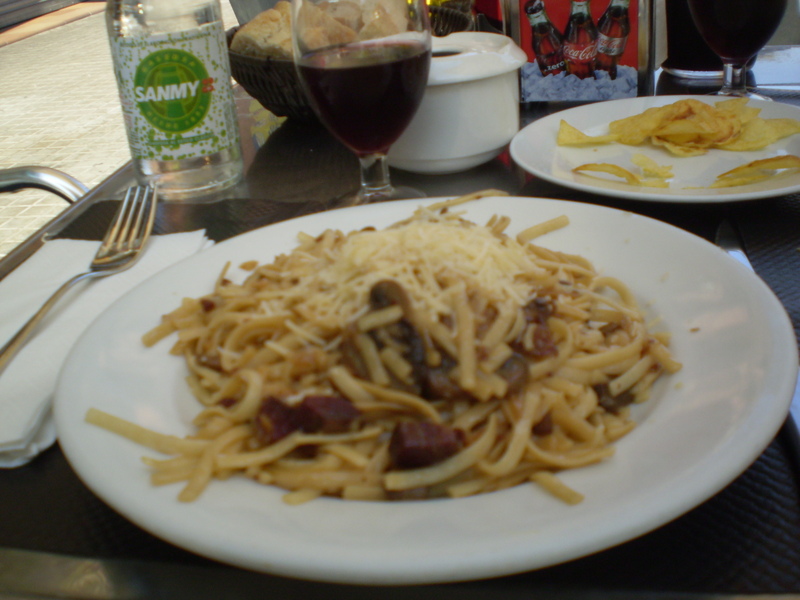 On my last visit I had noodles with jamon and mushrooms, followed by a stew, finished off with a chocolate mousse thingmy. All of them were the business, hersel’ had the same with the exception of the sweet, she had their cheesecake, fantastic. 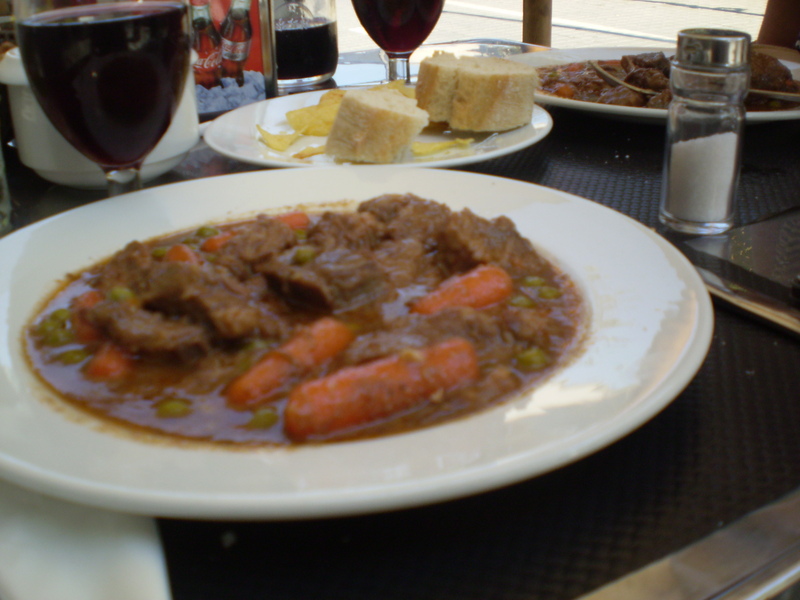 With a half litre of vino the bill was a whopping 18 € for two. As I said before, if you only follow one of my food reccos in this area then it should be this one. Here’s a couple of pics of the scran. This entry was posted in Cheap food, Fine Dining, Pl. Espanya, Uncategorized. Bookmark the permalink. 1 Response to The blogging equivalent of a stutter?